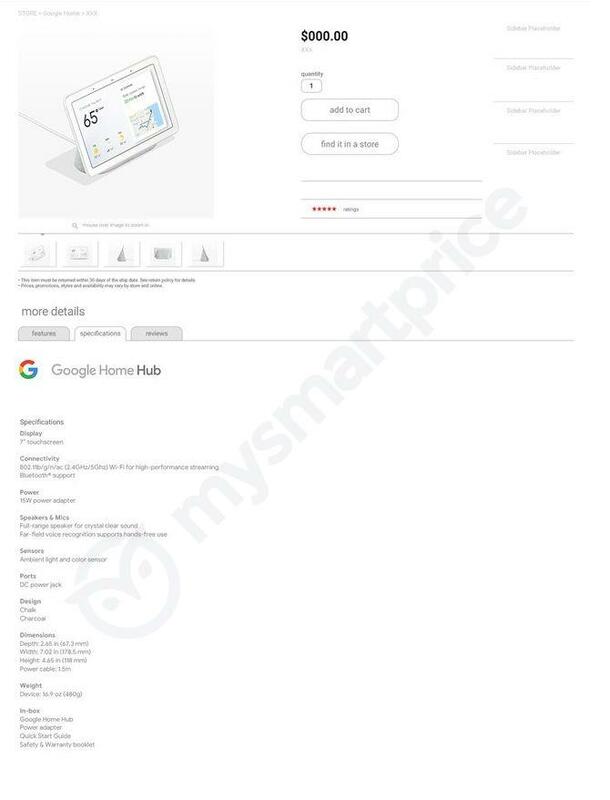 MySmartPrice claims to have renders of the hardware as well as screens of the official product specifications. 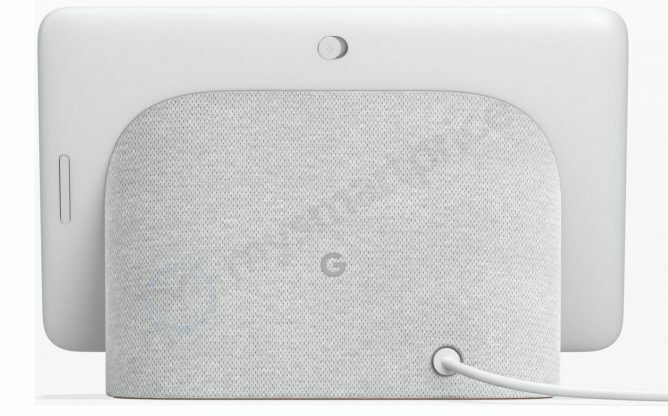 The 7-inch LCD dominates the front of the device, but a little of the trademark Google fabric peeks out at the bottom. The speaker appears to rise up the back of the screen portion. According to the specs, the device only weighs 480g. 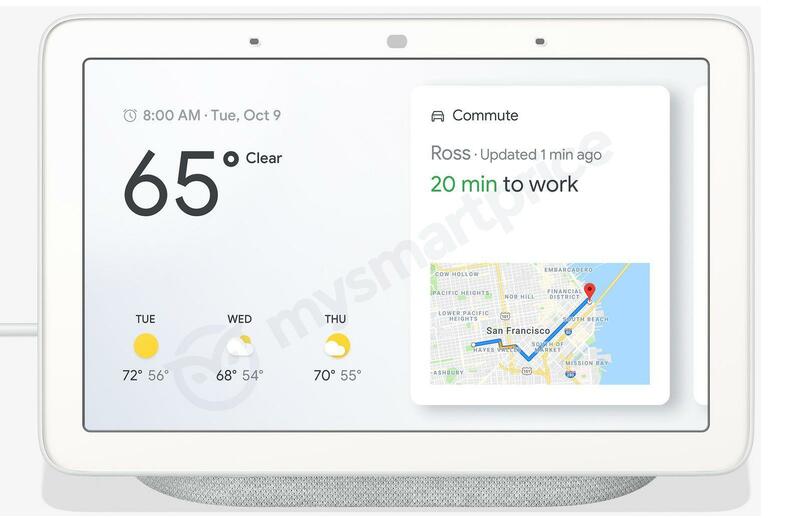 That's only a little more than the original Google Home—not much headroom for a good speaker in there, and it's facing backward anyway. The back of the screen potion has a hardware mute toggle as well as a volume rocker. 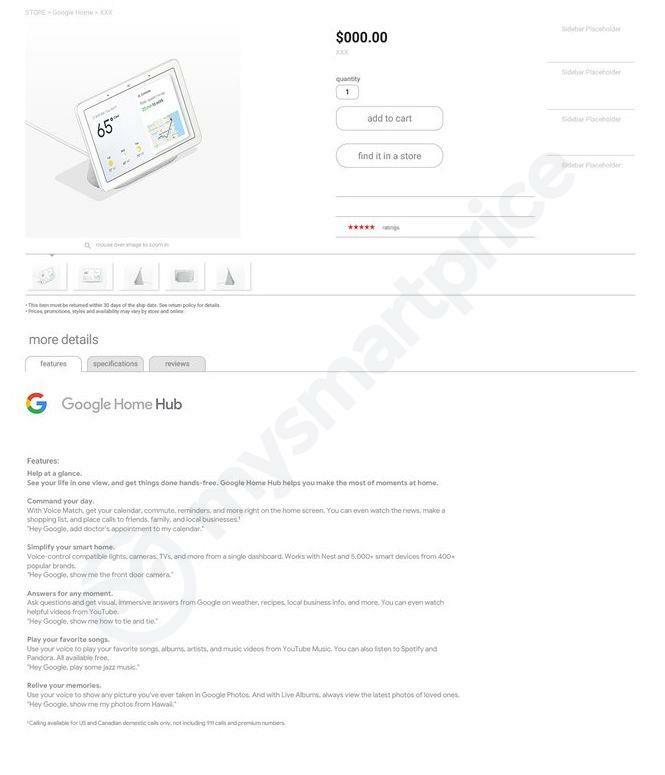 The spec page confirms light and color sensors above the screen, but there does not appear to be a webcam for Duo calls. 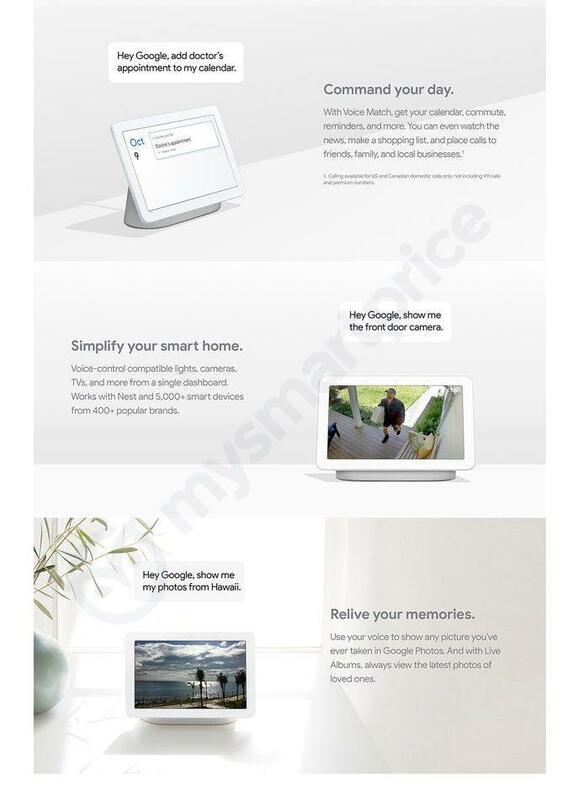 That's odd, but Google might be overcompensating for consumer privacy concerns. Other Assistant smart displays from Lenovo and JBL do have cameras. Even Amazon's Echo Show has one. There's no price in this leak, but a separate report claims the device will cost $149. None of this is confirmed, and the final hardware could be quite different. We'll probably find out at the October hardware event in just a few weeks. 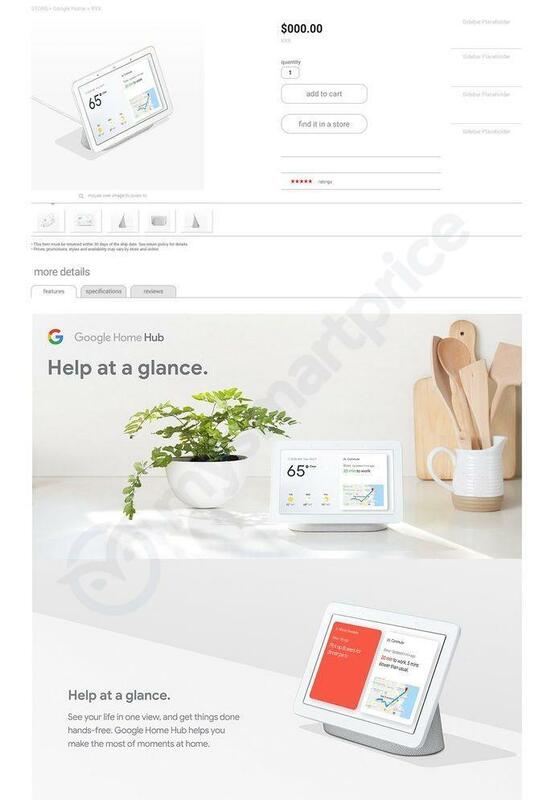 We also expect to see new Pixel phones and at least one new Pixelbook variant at the event. 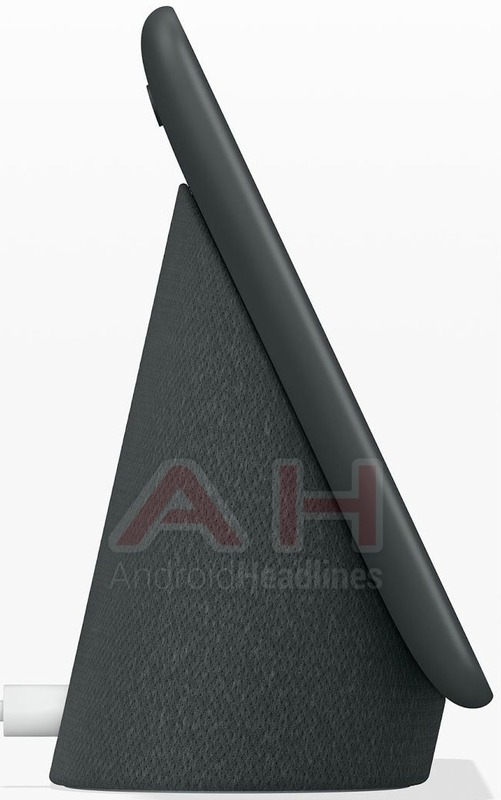 AndroidHeadlines has published two more images of the Google Home Hub, this time in the charcoal color. They show how the display part will be mounted on the speaker base, and it's almost certain that there won't be a hinge allowing the display to rotate to a portrait orientation. There's still no sign of a camera.